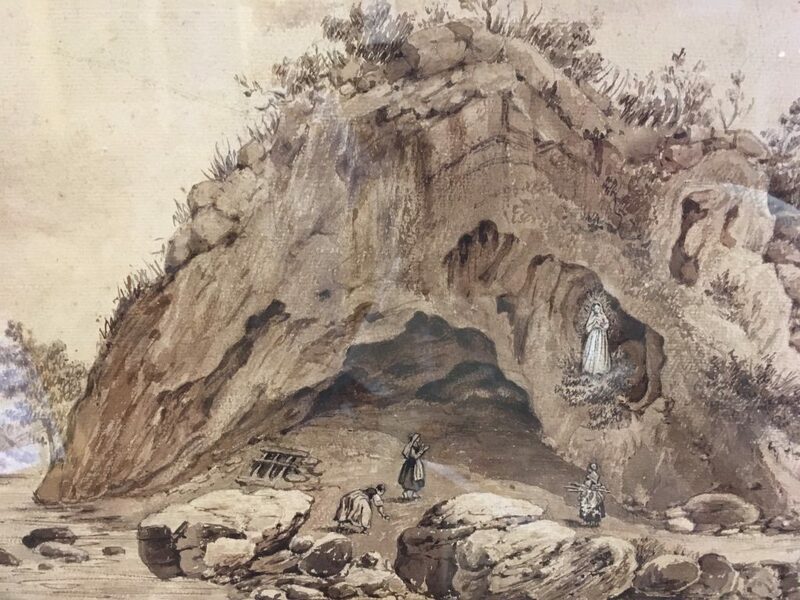 When our church was being planned in 1873, shortly after the apparitions in Lourdes were approved, the intention was that this church, dedicated to Our Lady of the Rosary and St Dominic, would become a surrogate Lourdes for Londoners, especially the sick, who could not get to France without considerable expense and difficulty. 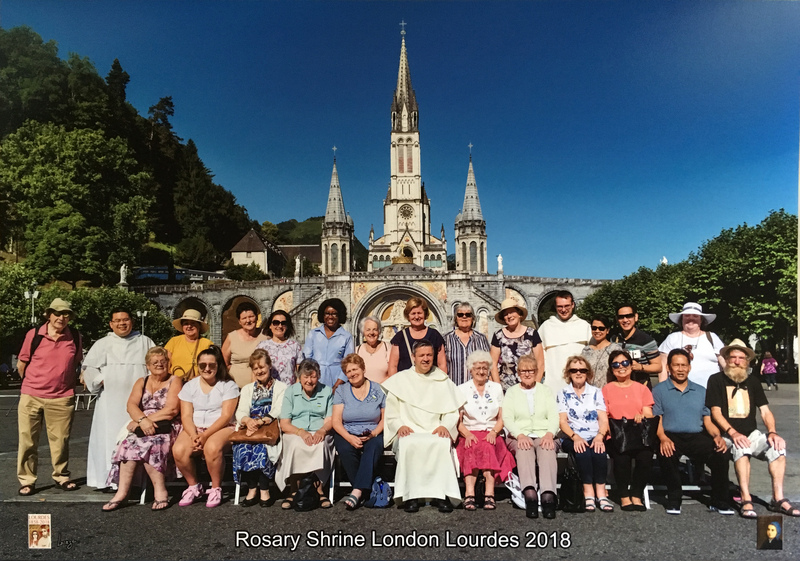 Being located near the Royal Free Hospital, this seemed an ideal location for a “Lourdes of London”, and so our church was designed with separate chapels for each of the mysteries of the Rosary, the first in world to be distinguished in this way and completed in 1883; the Rosary Basilica in Lourdes also has separate Rosary chapels but it dates to 1889. 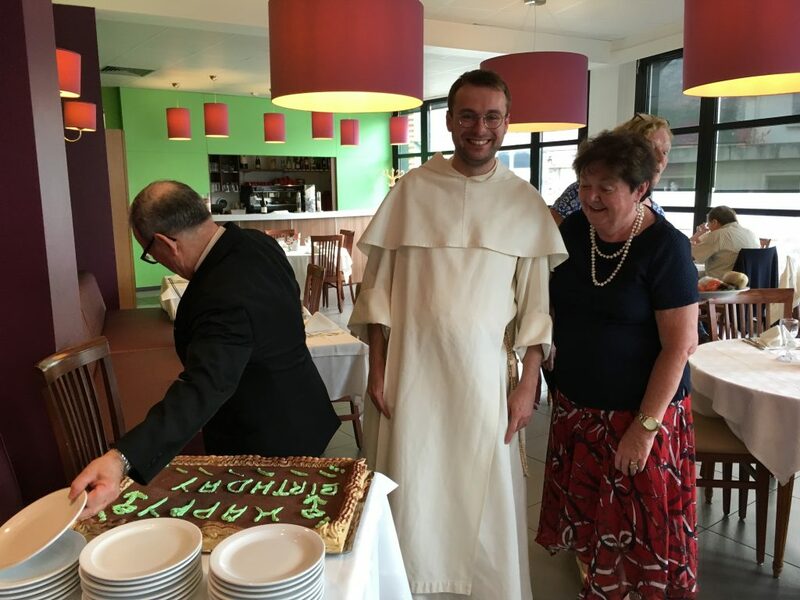 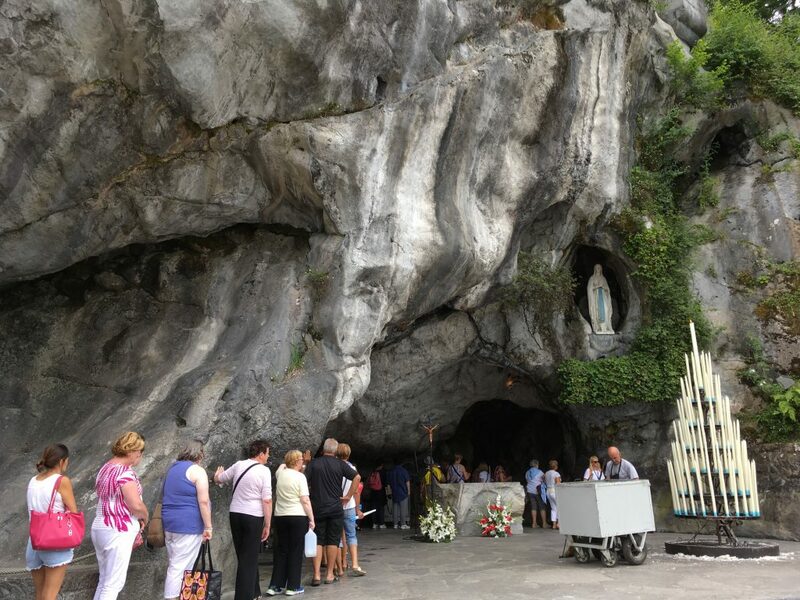 The link with Lourdes continues with annual pilgrimages from St Dominic’s parish to Lourdes. 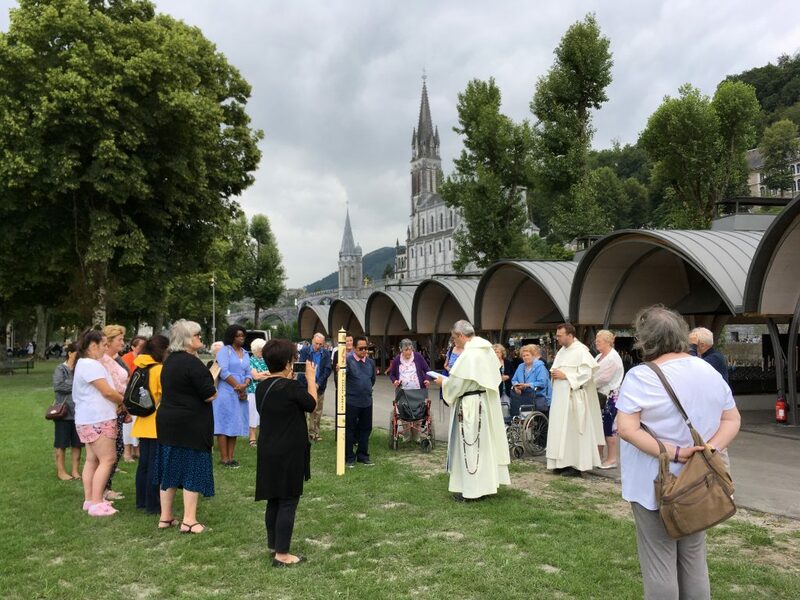 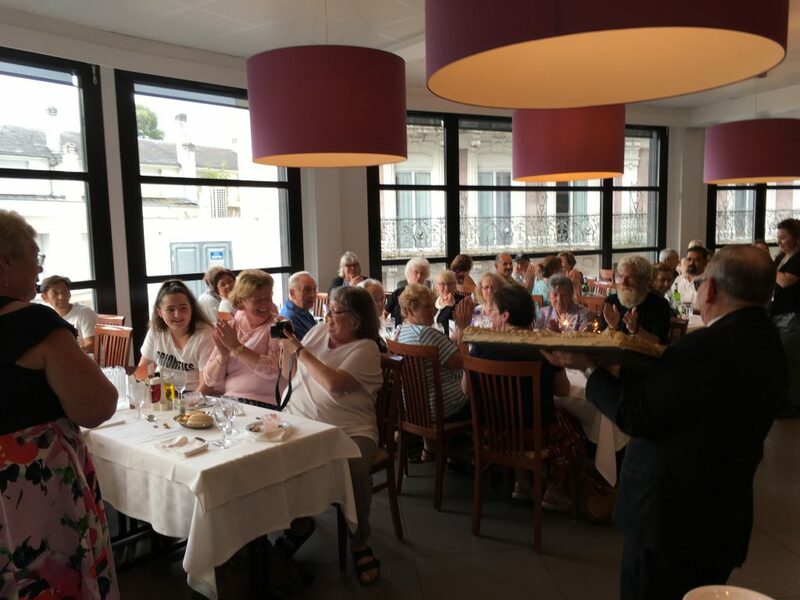 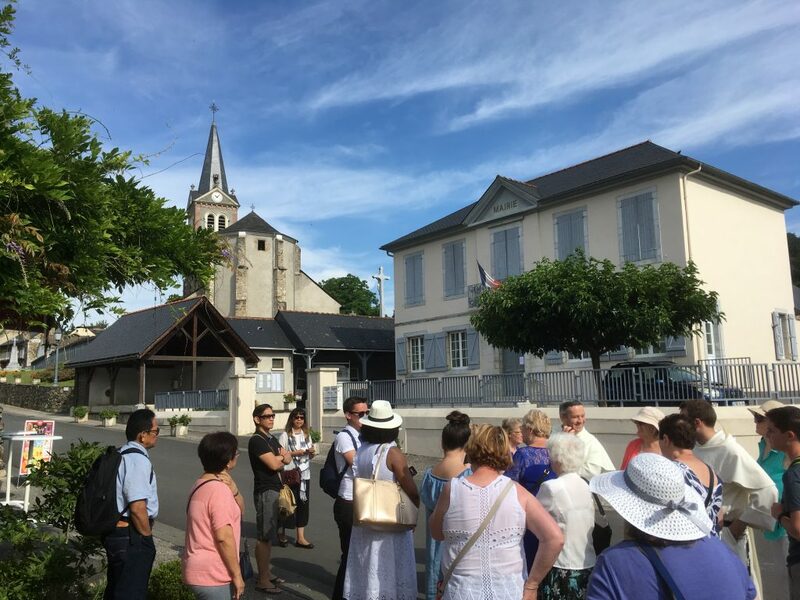 This year, the 160th anniversary of the apparitions of Our Lady to St Bernadette, a group of 26 travelled to Lourdes and made their pilgrimage there from 25-29 June. 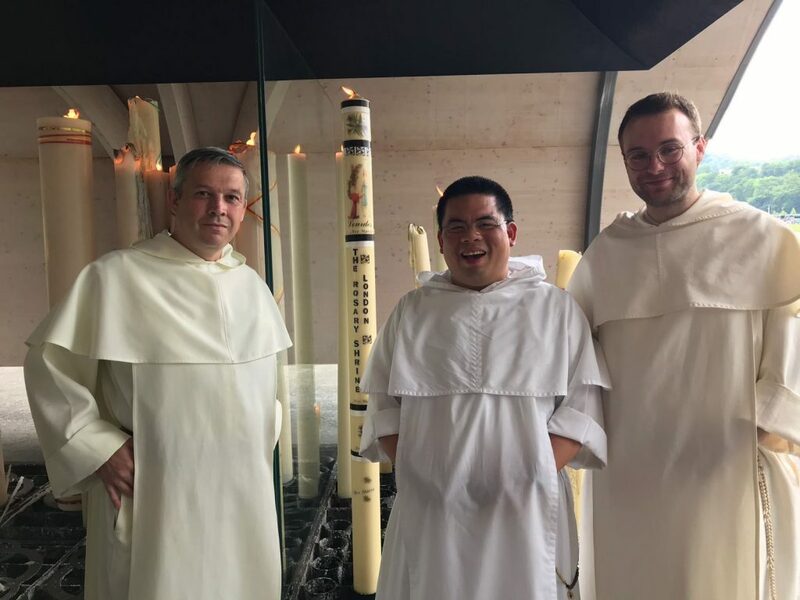 A large candle was lit in the new ‘Chapels of Light’ in Lourdes, burning for the intentions of the friends, benefactors, pilgrims, and parishioners who come to our church, London’s Rosary Shrine. 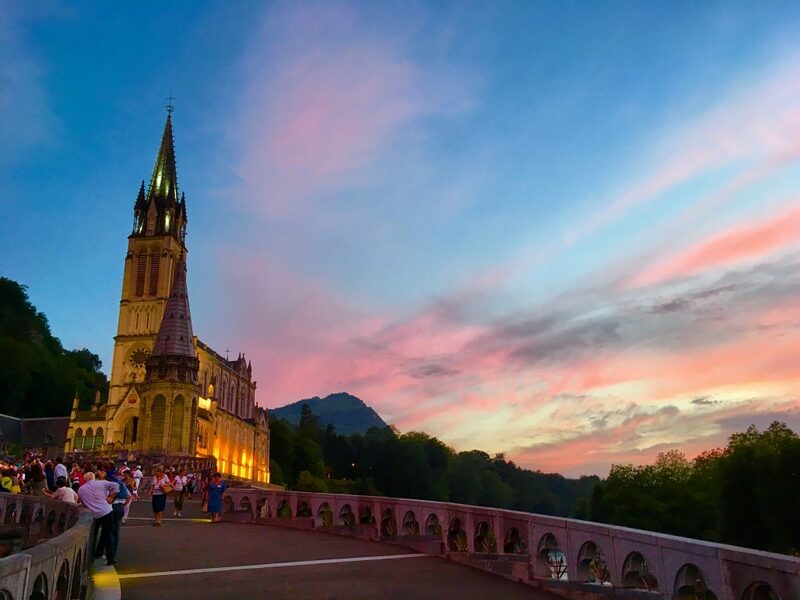 The Torchlit Rosary Processions in Lourdes are a beautiful way to honour Our Lady. 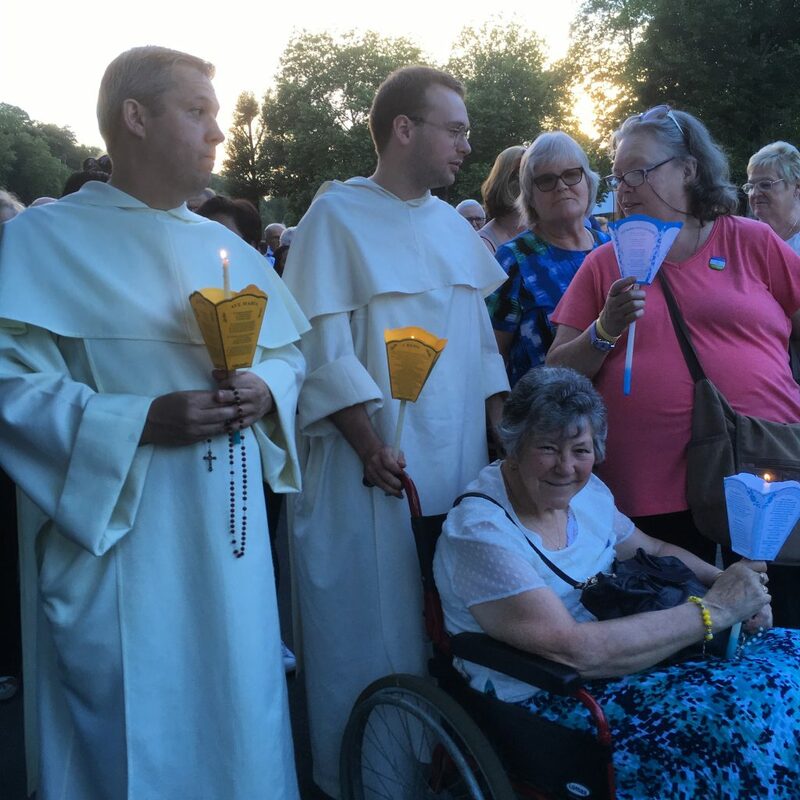 Here in our Rosary Shrine, we have torchlit Rosary Processions every Saturday during the month of October, straight after the 6pm Mass. 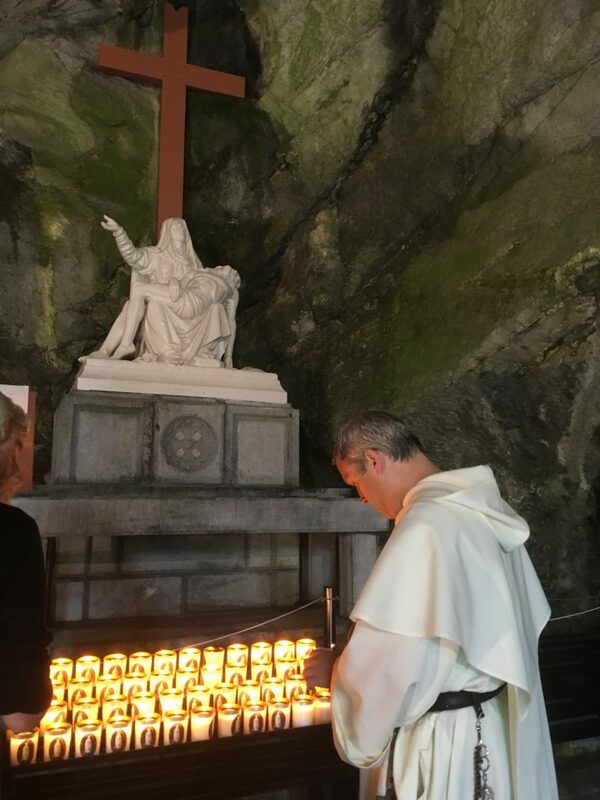 We thank Our Lady for a beautiful pilgrimage to her Shrine in Lourdes, and we ask the Immaculate Virgin to pour out her blessings on her Rosary Shine in London, and on all who come and pray here. 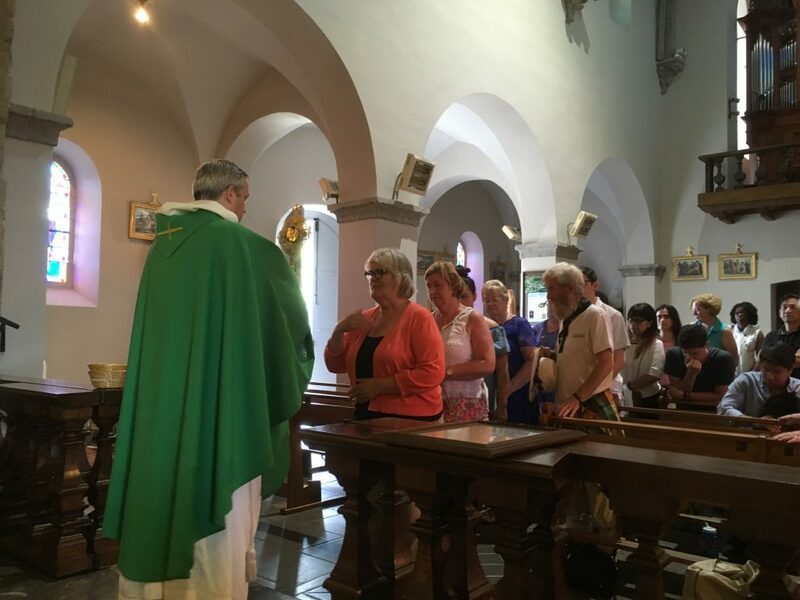 The next Rosary Shrine pilgrimage is currently being planned for June 2019, and it will take us to the Shrines of St Francis and St Padre Pio in Italy – watch this space!